Illus. in full color. 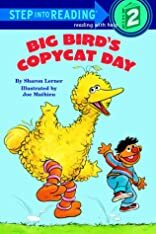 Big Bird barks like a dog and mimics everything else he sees in a wonderfully silly story in rhyme.